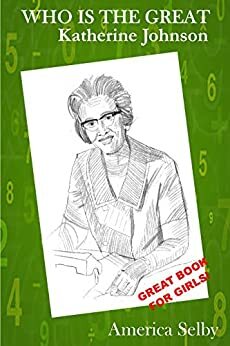 Katherine Johnson has been called "the girl who loved to count". She said, “I counted everything… anything that could be counted, I did.” She has become famous as one of the subjects of a bestselling book by Margot Lee Shetterly, called Hidden Figures. The book told about black women math experts who helped put men on the moon. It was made into a movie, also called Hidden Figures, with Taraji P. Henson playing Johnson. Before she became famous, she had to get an education and to work hard. She learned to make the most of the opportunities that came her way. Johnson and most African-Americans had to deal with prejudice in every part of their life. Women continue to be treated by different standards than men, even today, but in the 1960’s it was a thousand times harder for women and a million times harder for African –American Women to become successful or accomplished in any field. This story describes some of the difficulties and the many accomplishments Katherine Johnson experienced in her life.